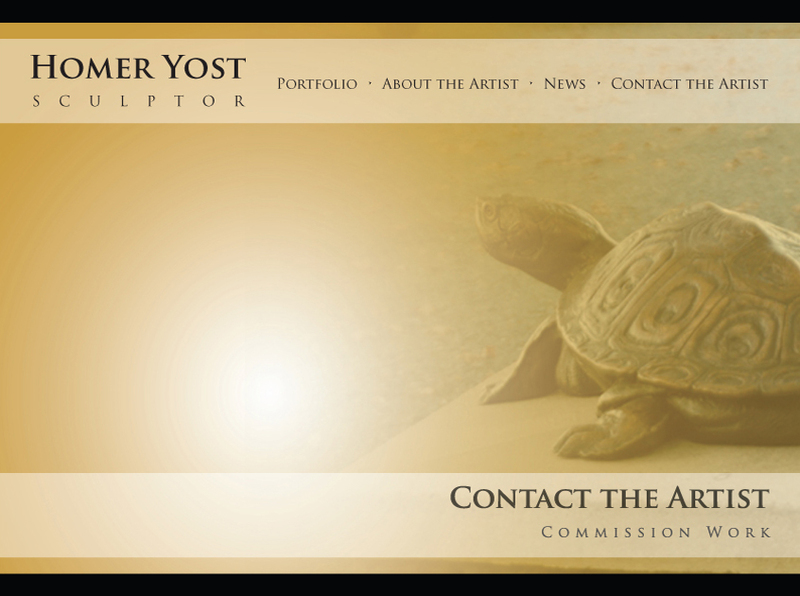 Homer Yost accepts drawing and sculpture commissions from both private and public clients. He draws and sculpts human and animal figures and portraits. With a broad range of subject matter, he has created work including religious and mythological imagery, as well as political and social commentary. Homer works collaboratively with patrons to arrive at a creative approach to the subject. The goal is always to create a work of beauty and intrigue that transcends time. Together, they determine the scale and material that will be used for the final piece. For a sculpture commission, Homer works in wet clay. The final sculpture is usually preceded by extensive research, preliminary drawings and a maquette (a smaller study also sculpted in clay). The original sculpture can then be cast in a variety of materials, including bronze, Vatican Stone, resin and cement. Clay casts of the original can be high-fired in a kiln. In drawing, he uses a variety of media, including pencil, charcoal, chalk and pastel. For more information about commissions, please contact the artist .